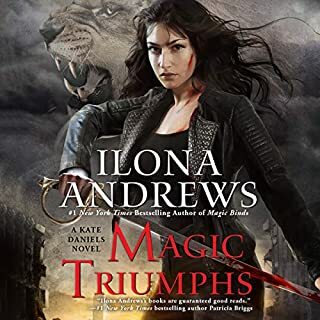 For centuries, the extremely powerful and ruthless vampire witches of the European Council have wandered the Earth, controlling governments, fostering war, creating political conflict, and often leaving absolute destruction in their wake. One of the strongest of them is set to create some havoc in the city of New Orleans, and it's definitely personal. Slaying vampires is child's play for skinwalker Jane Yellowrock. 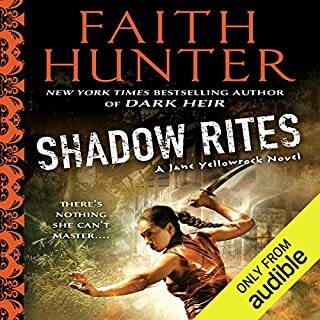 But handling the complicated politics of New Orleans' supernatural players is another story.... Jane is keeping the peace between visiting groups of witches and vamps in the city, but then trouble comes knocking on her door. When her house is magically attacked, the wild chase to find her assailants unearths a mystery that has literally been buried deep. A missing master vampire, presumed long deceased, is found chained in a pit...undead, raving mad, and in the company of two human bodies. When Evan Trueblood blows into town looking for his wife, Molly, he’s convinced that she came to see her best friend, Jane. But it seems like the witch made it to New Orleans and then disappeared without a trace. Jane is ready to do whatever it takes to find her friend. Her desperate search leads her deep into a web of black magic and betrayal and into the dark history between vampires and witches. But the closer she draws to Molly, the closer she draws to a new enemy - one who is stranger and more powerful than any she has ever faced. 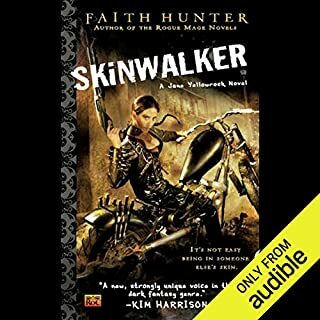 For the first time - in one Audible-exclusive collection - it's 13 stories of Jane Yellowrock, the shape-shifting skinwalker and vampire hunter for hire whose business card reads, "Have Stakes - Will Travel". Jane carries inside her the soul of her Beast, the mountain lion's soul which merged with hers when she accidently performed black magic as a child. Now, she and her Beast stalk the dark streets of New Orleans, bringing rogue vampires true death. The Master of Natchez, Mississippi has a nasty problem on his hands. Rogue vampires - those who follow the Naturaleza and believe that humans should be nothing more than prey to be hunted - are terrorizing his city. Luckily, he knows the perfect skinwalker to call in to take back the streets. But what he doesn’t tell Jane is that there’s something different about these vamps. Something that makes them harder to kill - even for a pro like Jane. 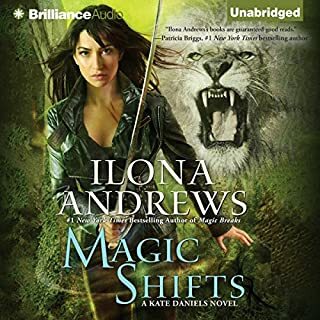 Jane welcomes a visit from Molly and her daughter, Angie, who is about to prove she's the most powerful witch in Everhart history. 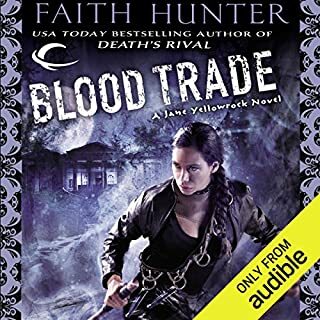 From the Big Easy to the bad bayou, from the open road to a vampire's lair - with Jane Yellowrock, it's always a given: have stakes, will travel. 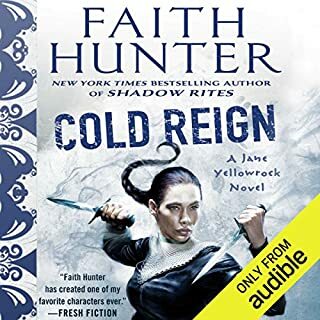 Set in the same world as the New York Times best-selling Jane Yellowrock novels, an all-new series starring Nell Ingram, who wields powers as old as the earth. 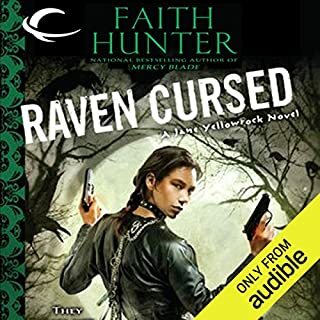 Now, Jane has referred Nell to PsyLED, a Homeland Security agency policing paranormals, and agent Rick LaFleur has shown up at Nell's doorstep. His appearance forces her out of her isolated life into an investigation that leads to the vampire Blood Master of Nashville. 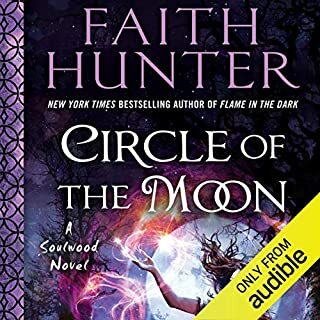 ©2016 Faith Hunter (P)2016 Audible, Inc. This is the first book I have read by this author and I thoroughly enjoyed it. I can’t wait to read the rest of this series. 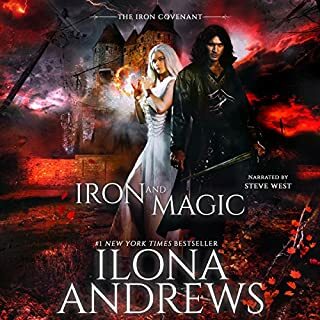 The reader of this series was enjoyable and I will probably be looking for more books narrated by her. 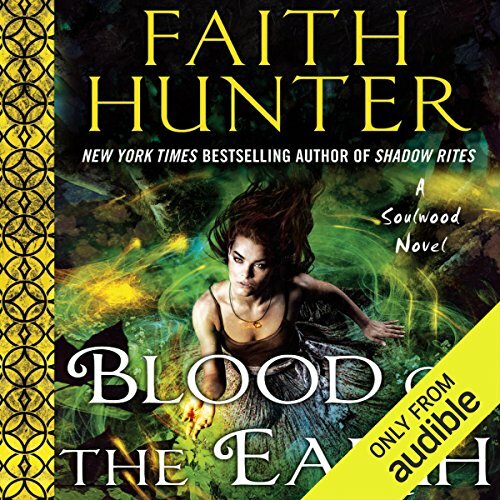 Blood of the Earth is a spin-off from the popular Jane Yellowrock series. 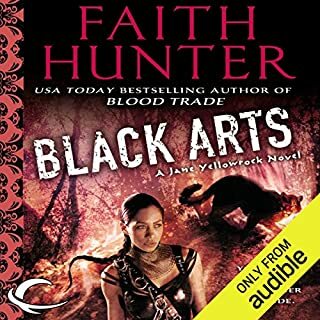 Ms. Hunter has done a great job creating a book that stands alone, so it is not necessary to read any of the Jane Yellowrock novels before starting Blood of the Earth. And even more impressive is the complete lack of the dread "InfoDump". Background information is added bit by bit as part of the natural flow of the narrative. Amazing writing. 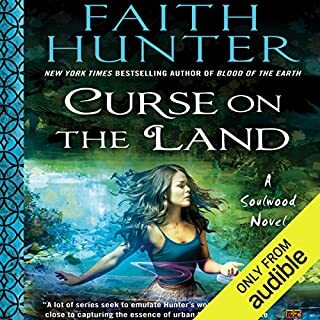 The story follows Nell, a magic user with a connection to the old growth forest on her farm. Earth Magic, Blood Magic, Nasty Cult leaders, Vampires, and Law enforcement types hunting an assortment of evil doers keep the action going cover to cover. Kristine Hvam does her usual wonderful job with the narration. Great writing, interesting world, new characters, a compelling woman who grows into herself in the course of the book. Highly recommended for long time fans, or first time readers. And the best part? The second book in the trilogy with be out later this year!!!! 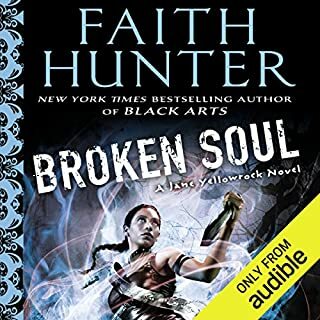 You do not need to know the Jane Yellowrock books to read this first book of the Soulwood Trilogy. But this book is just as good as any Jane Yellowrock novel, and gives us a peak into characters introduced through those books. This is a fast paced novel, and it will leave you wanting the next book to be out tomorrow. Wonderful narration made this book. 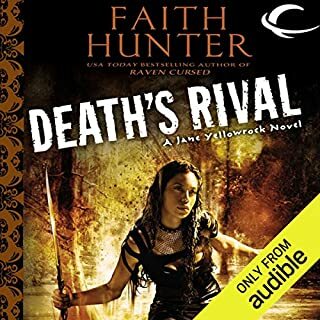 While Nell is a great character and the paranormal aspects of the story are very intriguing to me, there was SO MUCH emphasis on menial tasks throughout this book that I’m certain I would have been bored if not for the narrator’s lovely voice and soothing accent. I’m interested to see what happens with Nell and the rest of the team but I’m afraid the romance I’m rooting for (ha) will move at a glacial pace. This felt like a watered down version of the TRUE BLOOD tv show. There was a lot of potential and there was some new ideas on magic. But my mind wandered. Characters were so so. The Narrator really leaned into the southern twang. It did not go over well with me. That's probably where the real downfall of this was. 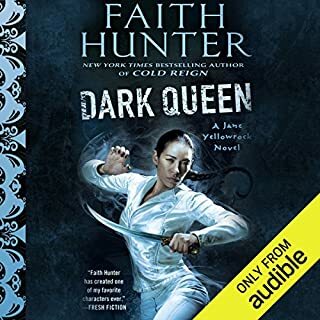 Faith Hunter steps outside of her beloved Jane Yellowrock series to give us something old and something new. This series follows the PhyLed unit of Jane's ex-boyfriend, Rick, as he works a case with new recruits. Our leading lady is an exiled cult member, Nell, who has to adjust to having so many new people and gadgets in her world. The development of Nell's character is the best part of the book. To watch her go from a sheltered church girl to a smart mouthed consultant for Rick is quite humorous. Not sure if it was intended, but the book gives some hope to those Jane+Rick fans. The book hits on topics like under age marriage, submissive women, and church cults. 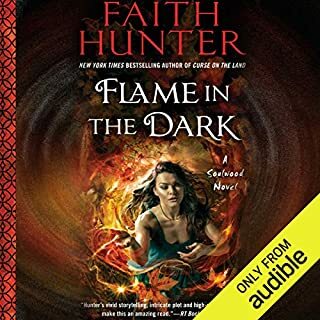 I feel like Faith Hunter did a great job of telling the story without trying to force the reader to feel a certain way towards those controversial topics. Overall, this isn't Jane Yellowrock. It reminds me of a diet soda... Better than nothing but doesn't pack a punch like the real thing. There isn't alot of action. The characters have milder personalities The books main focus is introducing the characters. It's a good first book and the makings of a great series. If you like Jane Yellow rock, you will love Nell! While both of Faith Hunter's protagonists are searching for self, Nell has further to go. She is softer than Jane, yet tough in her own right. Hunter has given us a complex story as well as a new team of characters to care about. For those who love Jane Yellow rock, there are crossover characters from that series. I was happy to see Rick again, and see how life is treating him without Jane. I admit, I want more Nell, more than I want more Jane. I never thought that was possible. This was a very good start to this series. 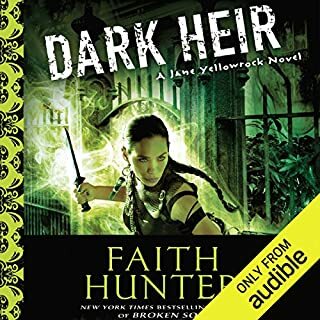 I've read the Jane Yellowrock series, including [book:Off the Grid|25379472] which is the short story that Nell was introduced in but I don't think you need to read the Yellowrock series for this story to make sense. I will admit that since I'm a fan of Jane, I had a bit of discomfort reading about Rick and his weird pseudo relationship with Paca. Thankfully, that relationship isn't concentrated on too heavily once Rick and Paca are introduced so it can be somewhat ignored after a bit. Nell is a woman that was raised in a cult. The cult is a church group that believes in living off the grid, not trusting the government and practicing multiple wife marriages. The leader of the church tried to claim Nell as his wife when she was barely 12 years old. She managed to escape this fate but ended up on her own, plagued by the church men who try to force her to come back to the cult whether she wants to go or not. 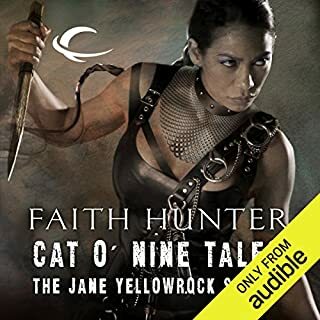 In [book:Off the Grid|25379472], Jane Yellowrock contacted Nell looking for info on the cult because members had kidnapped a vampire that Jane had been tasked with getting back. Jane had contacted Rick to see about hooking Nell up with PsyLED, a Homeland Security agency policing paranormals, thinking her association with them might provide her some protection from the cult. Rick shows up eventually for Nell's help with a local issue but his arrival is almost too late. Nell agrees to work with the team but since she's been on her own for years, she has some trouble being around people constantly. Nell isn't exactly human...she has a strong connection to the earth and plants, especially those on her land. As she starts working with the team, she starts to learn more about what she can and can't do. Some of it is gratifying but some is a bit scary for a girl raised under strict bible precepts. TBH, the whole situation pushes Nell out of her comfort zone because although she's been on her own for years, she's been more of a hermit and never actually broke out of the behavioral niche the cult had stuck her in. As Nell learns more about herself, she starts to break out of her shell and live life. When the story ends, the current crisis has been handled but Nell is firmly involved with the PsyLED team and will be working with them in the future. Hmmm where to start. First I really like how this book was narrated a lot. MS Hvam nail all the characters perfectly and will look for more done by her. The book it's self i was conflicted loved the idea but felt the author spent way to much time in describing detail every single thing. House, land ground etc was described in so much detail every time. it drove me a bit baty. I'm might give this series one more book because I like where the storyline is going. But holy helI hope description of things are cut back. If not I won't be going any farther. Got this book cuz I love the Jane Yellowrock books. To much of this book dragged on. I liked how exciting things got towards the end, but this book is not the page turner that the Yellowrock books are.